St. Augustine (in Spanish: San Agustín) is a city in Northeast Florida and the oldest continuously occupied European-established settlement and port in the continental United States. The county seat of St. John's County it is part of Florida's First Coast region and the Jacksonville metropolitan area. According to the 2010 census, the city population was 12,975. 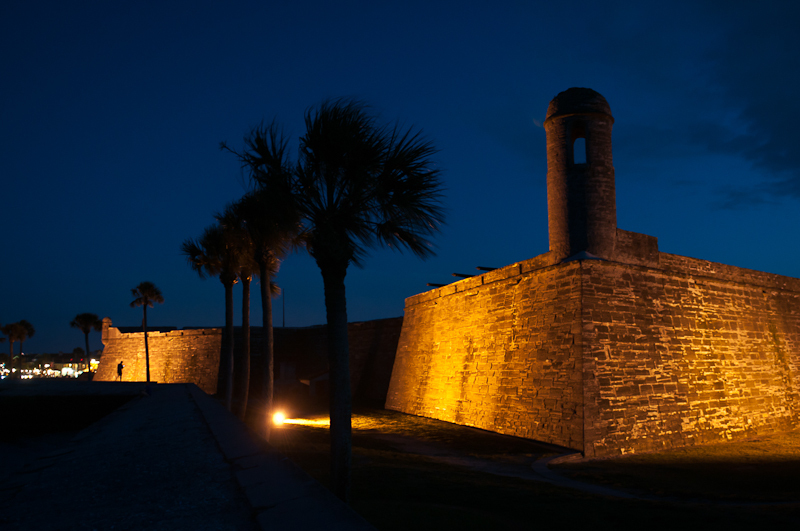 San Agustín was founded in September 1565 by Spanish admiral Pedro Menendez de Aviles, and subsequently served as the capital of Spanish Florida for two hundred years. It remained the capital of East Florida as the territory changed hands between the Spanish and British, and remained the capital of the Florida Territory until it was moved to Tallahassee in 1824. Since the late 19th century, its historical character has made the city a major tourist attraction. It is the headquarters for the Florida National Guard. 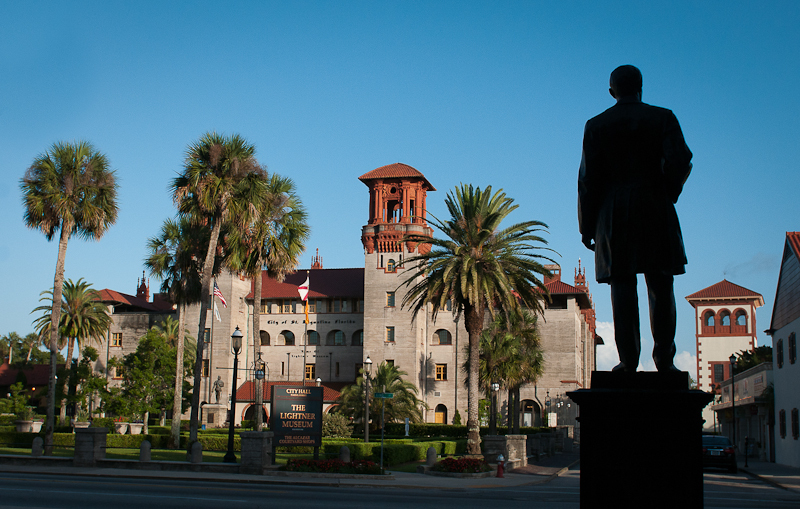 Henry Flagler, a partner with John D. Rockefeller in Standard Oil, arrived in St. Augustine in the 1880s. He was the driving force behind turning the city into a winter resort for the wealthy northern elite. Flagler bought a number of local railroads which were incorporated into the Florida East Coast Railway; it built its headquarters in St. Augustine. Flagler commissioned the New York architectural firm of Carrere and Hastings to design a number of extravagant buildings in St. Augustine, among them the Ponce de Leon Hotel and the Alcazar Hotel. The latter was built partly on land purchased from Flaglers' friend and associate Andrew Anderson and partly on the bed of Maria Sanchez Creek, which Flagler had filled with the archaeological remains of the original Fort Mose. Flagler built or contributed to several churches, including Grace Methodist, Ancient City Baptist, and, most ornate, the Venetian-style Memorial Presbyterian Church. Flagler had Albert Spalding design a baseball park in St. Augustine. The waiters at his hotels, under the leadership of Frank P. Thompson, formed one of America's pioneer professional black baseball teams, the Ponce de Leon Giants. It later became the Cuban Giants. One of the team members, Frank Grant, has been inducted into the Baseball Hall of Fame. In the 1880s, there was no public hospital between Daytona Beach and Jacksonville. On May 22, 1888, Flagler invited St. Augustine's most influential women to his Ponce de León Hotel and offered them a hospital if the community would commit to operate and maintain the facility. 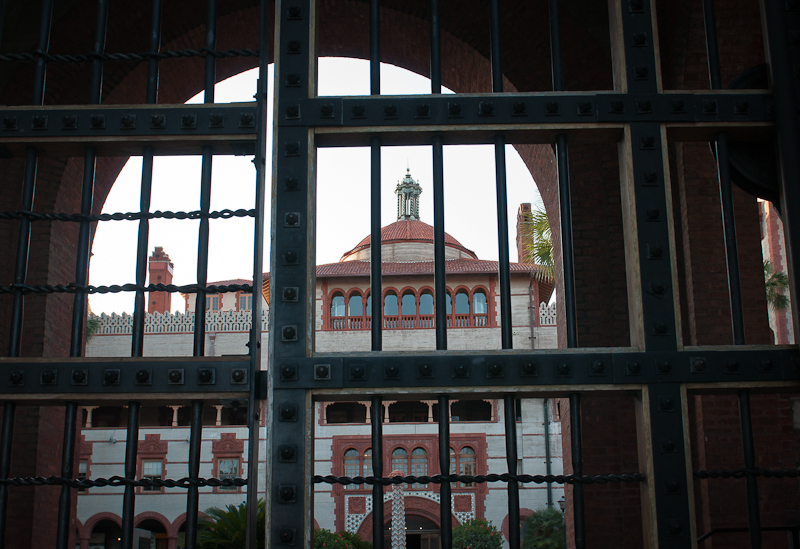 The Alicia Hospital opened March 1, 1890, as a not-for-profit institution, and was renamed Flagler Hospital in 1905. The extravagant Florida Land Boom of the 1920s left its mark on St. Augustine with the residential development (though not completion) of Davis Shores, a landfill project on the marshy north end of Anastasia Island. It was promoted as "America's Foremost Watering Place". 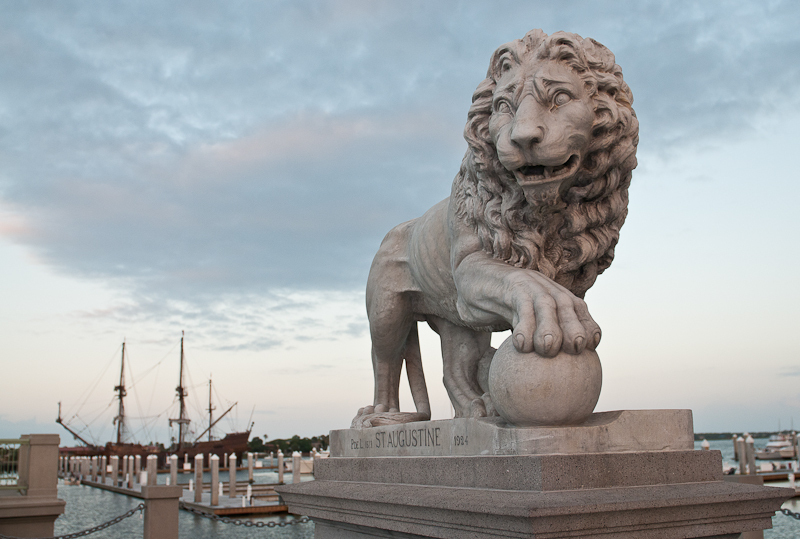 It was reached from downtown St. Augustine by the Bridge of Lions, billed as "The Most Beautiful Bridge in Dixie". 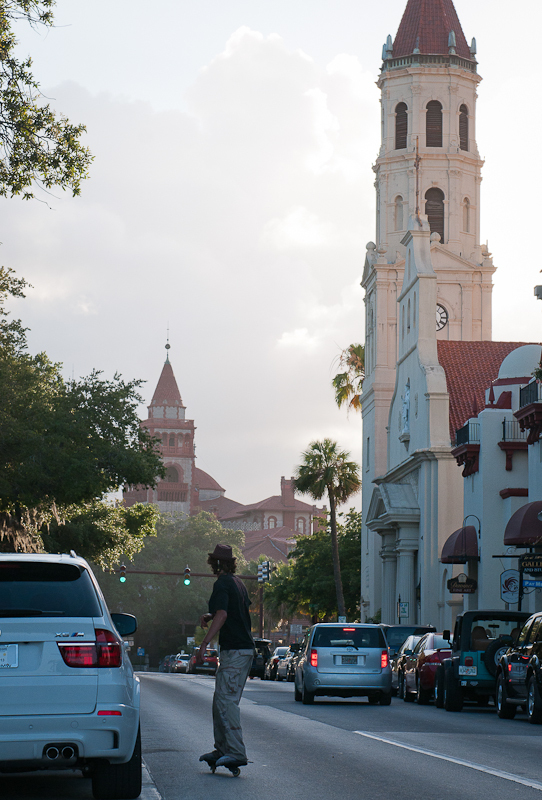 St. Augustine was among the pivotal sites of the Civil Rights Movement in 1963–1964. Efforts by African Americans to integrate the public schools and public accommodations, such as lunch counters, were met with arrests and Ku Klux Klan violence. The police arrested non-violent protesters for participating in peaceful picket lines, sit-ins, and marches. Homes of blacks were firebombed, black leaders were assaulted and threatened with death, and others were fired from their jobs. In the spring of 1964, St. Augustine civil rights leader Robert Hayling asked the Southern Christian Leadership Conference (SCLC) and its leader Martin Luther King, Jr. for assistance. From May until July 1964, they carried out marches, sit-ins, and other forms of peaceful protest in St. Augustine. Hundreds of black and white civil rights supporters were arrested, and the jails were filled to overflowing. At the request of Hayling and King, white civil rights supporters from the north, including students, clergy, and well-known public figures, came to St. Augustine and were arrested together with southern activists. The KKK responded with violent attacks that were widely reported in national and international media. Popular revulsion against the Klan violence generated national sympathy for the black protesters and became a key factor in Congressional passage of the Civil Rights Act of 1964 and the Voting Rights Act of 1965. In 2010, former United Nations Ambassador and civil rights activist Andrew Young premiered his movie, Crossing in St. Augustine, about the 1964 struggles against Jim Crow segregation in the city. Young is working to establish a National Civil Rights Museum in St. Augustine. It could be part of a St. Augustine National Historical Park and Seashore. IF WE LIVE GOOD LIVES, THE TIMES ARE ALSO GOOD.